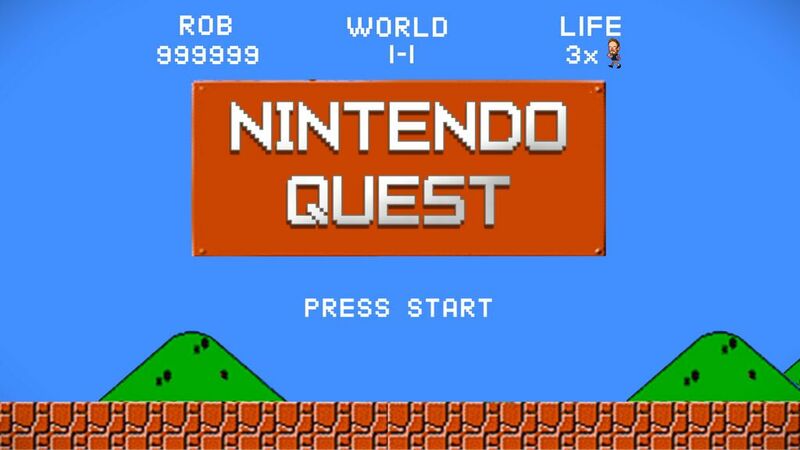 Nintendo Quest is the latest niche documentary that probably would not exist were it not for Kickstarter. Billing itself as “The Most Unofficial and Unauthorized Nintendo Documentary Ever,” Nintendo Quest follows Jay Bartlett, a Canadian super-fan of Nintendo, Star Wars, and Dave Grohl as he attempts to collect all 678 officially-licensed original Nintendo games within a time limit of 30 days. The big catch is that he has to do this without using the internet to acquire them, meaning he’d have to get nearly 700 Nintendo cartridges the old fashioned way, via face-to-face transactions. Jay also must do this with his own money (the Kickstarter proceeds didn’t go to the game budget, only to the production) and without taking any shortcuts. As an OG nerd of the Nintendo generation, this is my kind of thing. Still, we’ve all seen micro-focused docs like this before; they’re usually fun diversions, but there’s a reason that they usually end up being crowd funded. I really believe Nintendo Quest is different, and takes a much more earnest and heartfelt approach. The first 10 or 15 minutes play out as you’d expect, with a few talking heads (including a quick blurb from the Machiavellian villain of The King of Kong, Billy Mitchell), each one telling us how important Nintendo was during the 1980s and how much it means to them. But the documentary quickly moves ahead into the titular quest for Jay to get all those games, and we’re all better for it. YouTube is littered with geek documentaries where people sit around and talk about what makes *insert title here* so special. Thankfully, Nintendo Quest does none of that. What we quickly learn is that Jay’s quest is a metaphor for something; it’s about the Nintendo games, but it’s also about something else, something intangible, that Jay needs to do for himself. We finally get a little insight into where Jay is coming from about halfway into the movie, and it makes us really want to root for this guy even more. I was totally unprepared for how personal things become. 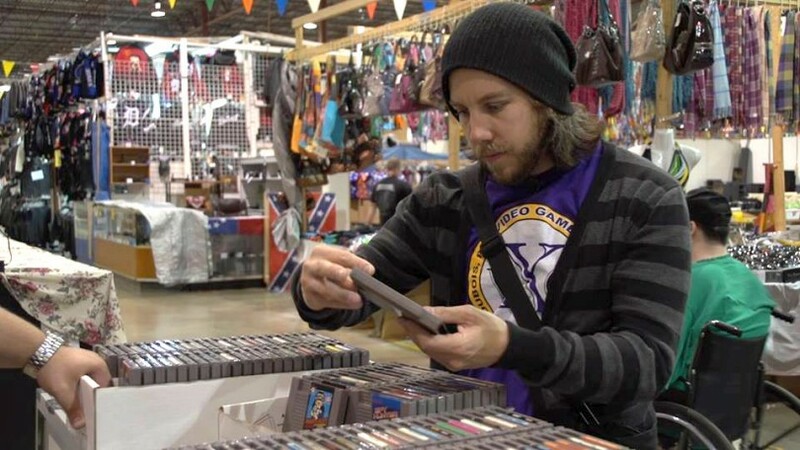 Jay’s search begins in Canada but quickly shifts to the United States as he seeks out used game store after used game store. Along the way he interacts with multiple private collectors, and we get to see how cutthroat the collector’s field can really be. Some of the games Jay looks for are extremely rare and fetch thousands of dollars, and we get an insider’s perspective into the competitive and backstabbing world of high-end video game collecting. We also get to see how far some video game enthusiasts have gone to in an effort to create their own little video game paradise. If you’ve ever seen The Rock-afire Explosion, you are familiar with the great lengths people will go to recreate their childhood fantasies, and here we’re treated to glimpses of fully stocked private arcades in suburban basements. Yet somehow, Jay, our protagonist, never seems desperate or out of touch. He’s intensely likable and—frankly—comes across as a bit fragile, so I found myself feeling protective of him and his mission. A good documentary will make you care about people, places, and situations in which you have no personal vested interest, and this one succeeds at doing just that. The filmmakers convey the passion of their subject and make you care, and it’s easy to invest in the human experience regardless of whether or not you dig classic Nintendo games. 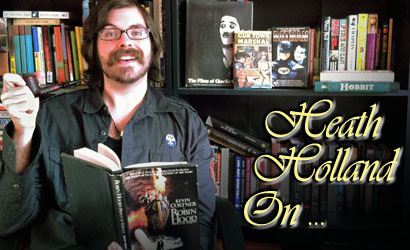 Director Rob McCallum has quickly become a master at crowd funding. He’s behind a number of documentary films, with FOUR current projects either funded or in the process of being funded on Kickstarter. The most recent successful campaign was for funding Power of Grayskull, an all-encompassing history of the mega-franchise He-Man and the Masters of the Universe. There’s already three hours of pre-production footage on YouTube through a webseries dubbed “Chasing Grayskull” for those wanting to keep track of the next film’s progress. After that, he’s making a movie about video game box art. I think this is all kind of amazing, because he’s somehow managed to make documentaries about very nostalgic subjects for a very specific audience, but has avoided the usual fan service. 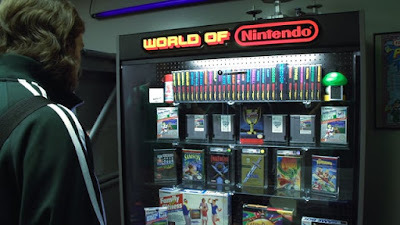 At no point in Nintendo Quest did I ever feel like the director was saying “Weren’t the eighties better than today?” I applaud McCallum’s restraint, and commend his filmmaking ability. Tonally, he manages to avoid the nostalgic pitfalls that many of his peers would have fallen into. He also manages to tackle what is admittedly a VERY nerdy and esoteric subject and make a documentary that can and will play for a broad audience, including those who weren’t even born when Nintendo was king. I’ve caught some interviews and podcasts with McCallum since I saw this documentary, and he’s a very intelligent guy who strongly believes in putting the film’s quality and artistic integrity first. I think he’s one of the good ones. I appreciate that McCallum avoids lengthy segments of talking heads and keeps his film moving at a decent pace. I’m sure he could have found numerous willing participants to wax philosophical about beeps and boops, but he keeps the few interview moments of the film brief. The obligatory history of Nintendo is done via animation that simulates retro-game graphics; it only lasts two minutes. Nintendo Quest is also a document of physical media and the importance of having a relationship with the thing that you are consuming. Great importance is placed on the artifacts themselves, but this is all done without derailing the story or detracting from Jay’s mission. McCallum understands that splitting the focus of the film would come at the cost of his narrative, so he keeps the focus on his friend Jay rather than on biographical testimonies about the sanctity of Mario and Luigi. This is also a documentary that understands the place of nostalgia in our society without letting that nostalgia become the story itself. There’s a maturity at work, believe it or not, that I think separates this from other similar films. During one part of the documentary, Jay finds himself having a very difficult time securing one of the rare games he needs, and tells us that “Every game has a story to it. This is the game I want most, but this is not the story I want for it.” There’s a lot we can take from this statement. Physical media enthusiasts will likely relate to where Jay’s coming from. Nintendo Quest is a niche documentary that has the potential to entertain a wide audience because it understands what it is. I’m glad to have discovered Rob McCallum as a filmmaker and am eager to check out some of his earlier work, which includes a well-received independent horror movie from 2013 called Unearthly that I’m suddenly very eager to see. He’s also a regular host of the podcast GamerCast (along with this movie’s subject, Jay Bartlett), which spent three episodes debating the nature of nostalgia and its role in our lives. There’s definitely a higher level of geek thinking going on with this guy, which I appreciate. 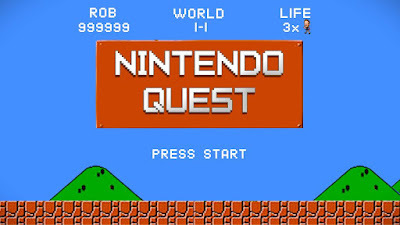 Nintendo Quest could have ended up being a very different documentary that only focused on the glories of long ago, but seems to be aiming for something higher and mostly succeeds. You can buy Nintendo Quest on disc at Amazon or watch it on Amazon Prime Video. I saw this last year and adored it. Jay was just a really relatable and unassuming documentary subject and I enjoyed learning about the weird, niche world of rare NES games I never knew existed through his journey. And it's climax is more emotional and compelling than you would imagine for such a seemingly light-minded quest. Great doc. I have to thank you, Heath. My two favorite things are movies and NES. I just watched it and I loved it. I really felt for Jay. You summed up how I felt about him perfectly. You root for him almost immediately. I'm pretty sure this movie was made for me. You have to admit, Heath, that you like him a little bit more because of his life size Darth Maul and Jar Jars. Anyway, thanks again for bringing it to my attention. I'm thinking I might try to watch it 677 more times.